Operating under their parent company Dyaco, Spirit Fitness produces a variety of fitness products. Spirit is a sister company to Xterra Fitness and SOLE Fitness, which are two better-known fitness brands. However, even with a smaller reputation, Spirit has put out a variety of fitness products such as treadmills, rowers, steppers and more. Spirit even has its own fitness app, the Spirit Fit app which can track your workout, design your planned workouts, and set your machine’s workout program. The app will even sync with iHealth, Fitbit, MyFitnessPal and other fitness apps. In the Spirit treadmill lineup, there are currently 10 treadmills available. Five of them are classified as commercial and cannot be purchased directly from Spirit. 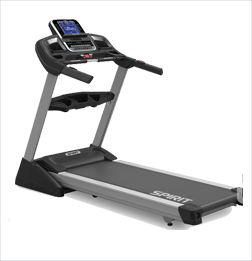 There are no Spirit treadmills which Treadmill Reviews would classify as budget-friendly treadmills. The XT series are Spirit’s residential treadmill line. They start in price at $1,399 and scale up from that point. 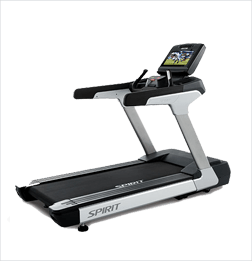 All five of the Spirit treadmills have blue-black LCD screens in the consoles, built with commercial-grade steel, have fans, and a tablet holder. 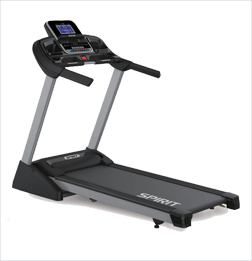 There is a wide variance between the lowest end of the XT series and the top, with the lowest end Spirit treadmill having similar specifications to a budget Horizon treadmill. All but one of the XT series is able to fold up. The commercial CT series is really comprised of 3 base models and 2 variations. 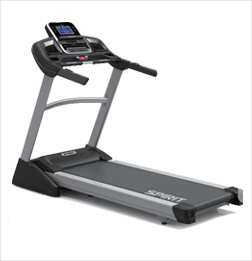 The lowest price we were able to find for one of the CT series treadmills is $2,999. According to the Spirit website, the XT685 is also classified as a commercial treadmill as well as a residential one. 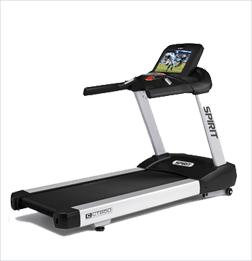 However, the XT685 is available for homeowners to purchase, unlike the rest of the CT series treadmills. The three base model treadmills have LCD screens while the 2 variations have 15.6” touchscreen displays which will allow you to watch TV or surf online. All these treadmills can reach 12 MPH, incline range of 0% to 15%, and none can sync with the Spirit Fit app. 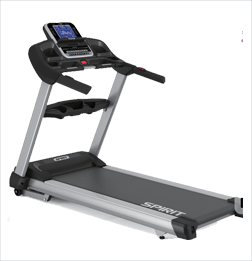 Like it’s sister treadmill brand SOLE, Spirit treadmills are built along very durable lines with their commercial-grade steel frames. The higher-end residential treadmills have powerful motors and high weight capacity. Spacious treadmill belt on most of the treadmill models. 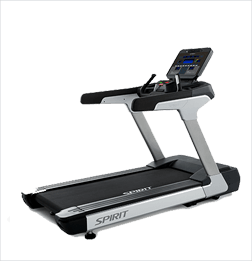 Though there are good points in favor of Spirit treadmills, there are a few major deterrents to purchasing a Spirit treadmill when compared to direct competitors. 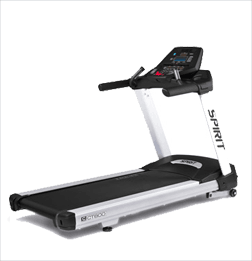 The XT185 and the NordicTrack Commercial 1750 are very similar in price but the 1750 clearly has a larger motor, greater incline and decline range, a touchscreen, and more. 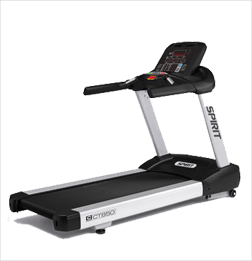 Overall, while Spirit treadmills aren’t bad treadmills, they may be priced higher than necessary considering the specification of the treadmills. If you want to look at alternative brands which are as sturdy and include more features, then check out our SOLE treadmill reviews and NordicTrack treadmill reviews.